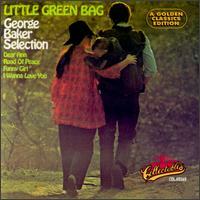 A very strange song this "Little Green Bag" is. It was mildly successful during it initial release in 1970, reaching #21 on the Billboard charts. Anyone of my age would recognize the song from its opening of Reservoir Dogs. Apparently in years following, it has went to #1 in Japan after appearing in a whiskey commercial. Not to mention it is always used in almost anything which references Reservoir Dogs. Simply put, this song is a lot of fun. It's catchy as hell, bouncy, and the guitar lick is so catchy you'll find yourself whistling along with it. They use cowbell really well here when it doubles that infectious guitar hook early on in the song and during the outro and final verse.